Before the return of Christ, the Bible says He would send the spirit of Elijah to turn the hearts of the fathers to the children and the children to their fathers. We've dreamed that dream, we've prayed that dream, and now that dream is being built through a book like this. Thank you, Jerome. He is consumed with the burning desire to see Asia's youth burn with a fiery zeal for the Lord and His holiness and to this end, he plods on, tirelessly. 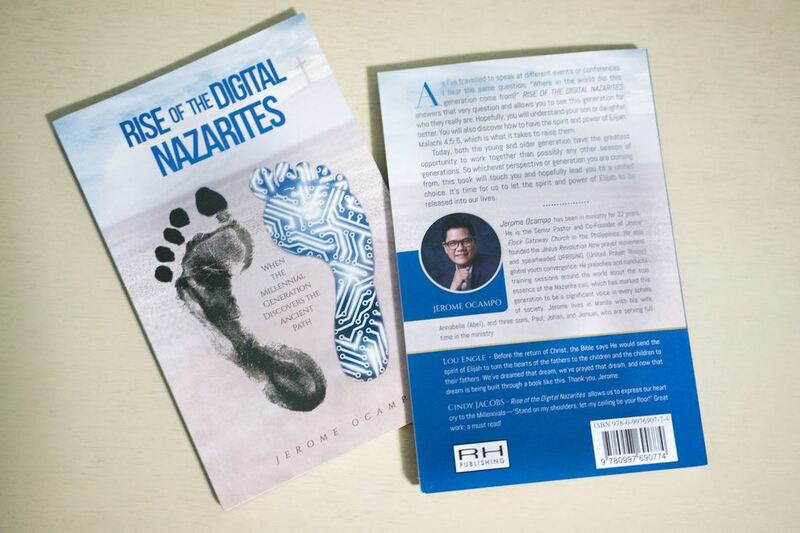 His book, The Rise of the Digital Nazarites will ignite the hearts of the young among our ranks. Rise of the Digital Nazarites allows us to express our heart cry to the Millennials - "Stand on my shoulders, let my ceiling be your floor!" Great work; a must read! The potential of a fresh global outpouring of the Holy Spirit is before us but it will require an unprecedented intergenerational unity as spiritual fathers and mothers and spiritual sons and daughters turn their hearts toward one another.